Magical slot games are exciting games to play. The magic themes and the illusion features that are embedded in magical slot games make it thrilling. Here are top 5 slot games that have magical themes. 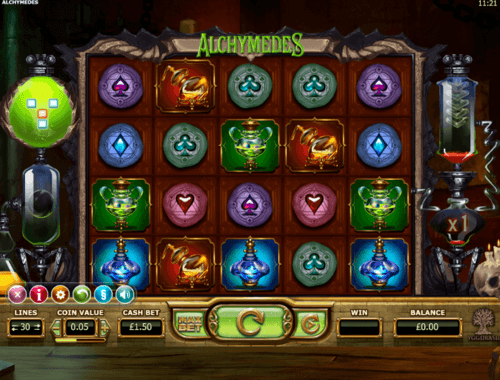 Alchymedes Slot Game is a UK slot game powered by Yggdrasil Gaming. It is played on 5 reels and 30 paylines. Alchymedes slot game is based on a great mathematician, Archimedes. The theme of the game is laboratory styled and has an innovative design. There are wilds, scatters, free spins and an RTP of 96.10% in sight. Alchymedes slot game comes with an Autoplay button that allows you to spin the reels automatically without interruption. 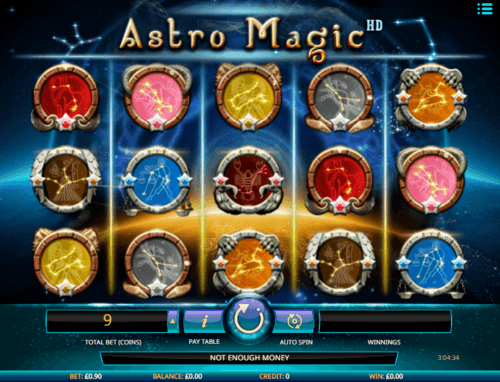 Astro Magic UK Slot by iSoftBet is a real money slot game that is based on astrology and has supernatural and magic themes. This game is played on 5 reels, 3 rows, and 25 paylines. It has symbols such as playing card symbols ace, king, queen, and jack, crustacean, a bull, Capricorn, Aries, Taurus, and lots more. Astro Magic comes with an RTP of 96.49%. The game has multipliers, scatters, wild symbols, free spins and bonus rounds to enjoy. You can adjust the coin value of this game between 0.01 and 2.00. 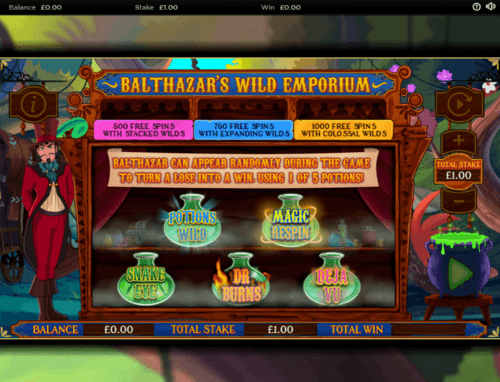 The magical and eccentric world of Balthazar's Wild Emporium Slot makes it a stunning slot game to play. Players can have a great adventure in the wild forest on 5 reels and 20 fixed paylines. The minimum and maximum stakes to play this game are 0.20 and 100 respectively. The symbols of the game are all magically related as one can see potion bottles of varying colours, a book, and Balthazar. This real money slot comes with free spins, wilds, scatters and intriguing features. Designed by Core Gaming, Balthazar 39s Wild Emporium comes with an RTP of 94.02%. 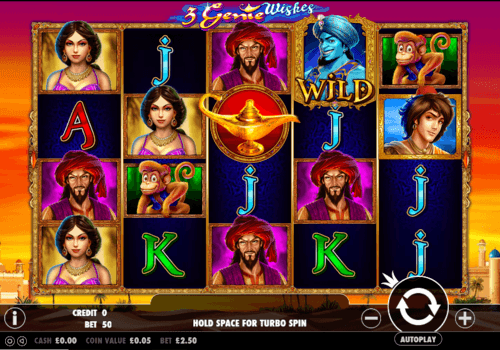 The story of Aladdin is an endless one as it is seen in this real money slot. 3 Genie Wishes UK slot from Pragmatic Play is a slot game designed for those that want Genie to grant their wishes. 3 Genie Wishes is enjoyed across 5 reels and 50 paylines. The theme of the game is magical related and the symbols on the reels are characters from the story of Aladdin. The Genie himself is the wild symbol that acts as other symbols to complete a winning combination. The Genie Lamp acts as the scatter symbol and triggers the free spin features of the game. There are also sticky wilds and raining wilds that come with free spins. 3 Genie Wishes has an RTP of 96.53%. 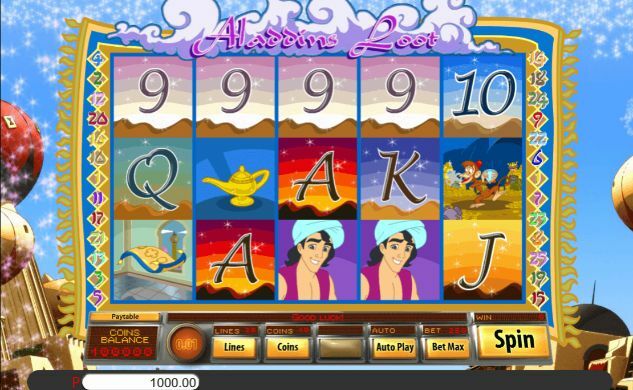 This online slot game centers on Aladdin and the Genie of the Lamp. You have to discover the treasures that are pillaged by Aladdin. Aladdin’s Loot slots game by Saucify comes with 5 reels and 25 paylines. The graphics of this game is beautiful and reminiscent of the Arab world. You will find a flying carpet, a monkey, a lamp and more symbols on the reels that will enable you to discover Aladdin’s Loot. The wild symbol of the game is Aladdin and the scatter is Genie. Both will assist you to win fabulous prizes of the game. The free spins of the game are activated by Genie and come with an RTP of 95.40%. There you have it! These slot games are magical and will offer you an exhilarating gaming experience. They are available on Money Reels . An amazing experience awaits you as you play these magical slots games.